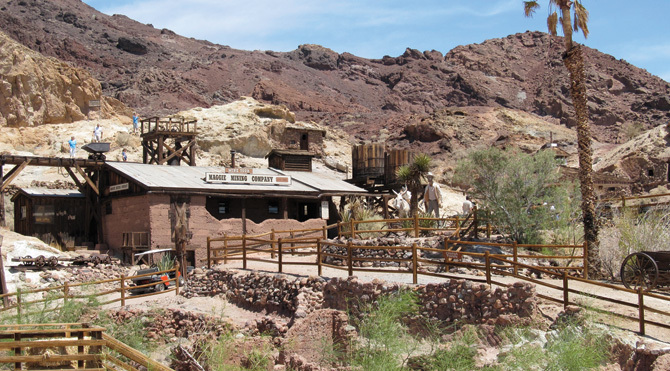 Part living-history museum and part family-friendly tourist attraction, Calico Ghost Town Regional Park in the Southern California desert is anything but dead. Thousands of visitors come to this western town every year to tour the underground Maggie Mine, ride the narrow-gauge Calico & Odessa Railroad, pan for gold, shop, and attend special events. A large campground makes it convenient to stay awhile. The town’s identity comes from the surrounding Calico Mountains, so named for their multi-colored rocks and minerals. It was this patchwork of color that enabled a few fortunate miners to strike it rich over a century ago. 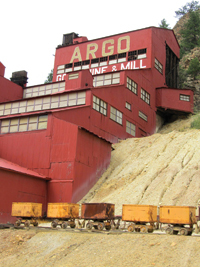 The Argo Gold Mill and Tunnel in Idaho Springs, Colorado, made quite an impact on the state’s mining history. From its completion in 1913 until a fatal accident 30 years later, many miners were able to strike it rich thanks to the technology and efficiency provided by the mill and the tunnel. 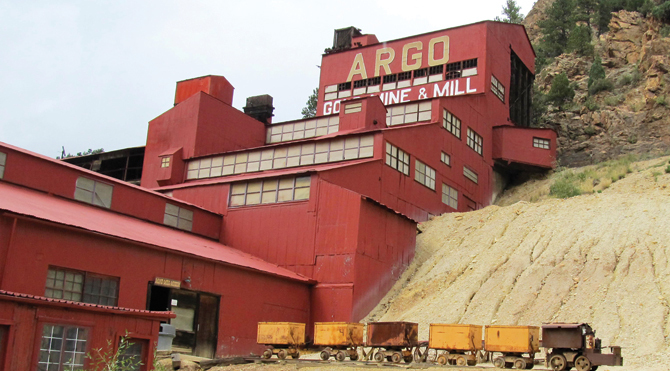 The best way to learn about this significant time in the Centennial State’s past is to visit the Argo Gold Mine and Mill, now a national historic site. 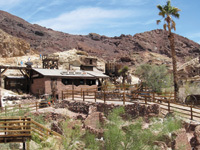 Renovated and opened to the public in 1978 as an educational tour, the site has retained most of the original equipment used for processing gold ore. A visit includes a self-guided tour of the Double Eagle gold mine, and a gold panning lesson. 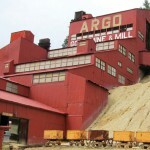 But the main attraction here is not a mine tour, but rather a mill tour with a history lesson thrown in. 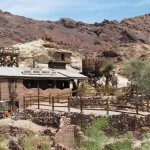 The bottom level of the five-story mill serves as a museum filled with mining relics and interesting old photographs.